Use a piece of cord formed into a loop. 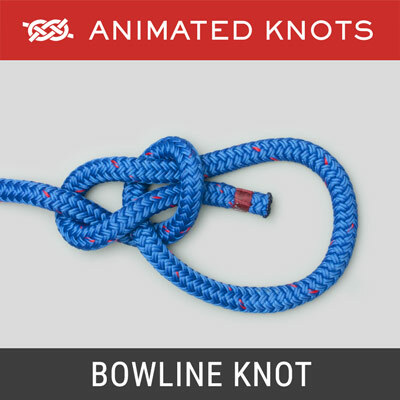 Pass the knot around the rope three times inside the loop. Make sure the turns lie neatly beside each other and pull the knot tight. History: The Prusik knot was developed in 1931 by Dr.Karl Prusik (sometime president of the Austrian Mountaineering Club and often misspelled "Prussik".) 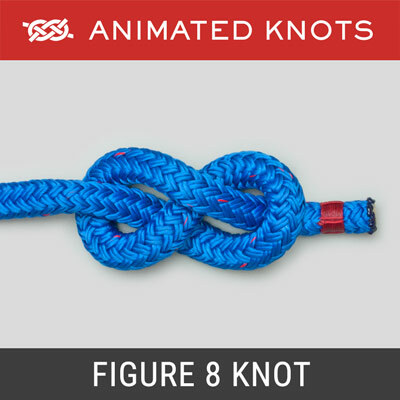 It appears to be identical in structure to a knot described by Ashley for hoisting a spar. 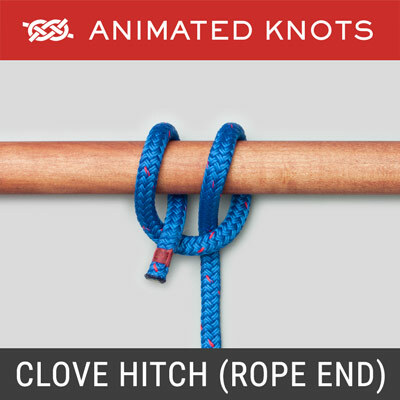 (ABOK # 1763, p 300), but Ashley did not name this knot and did not describe the slide and grip feature. 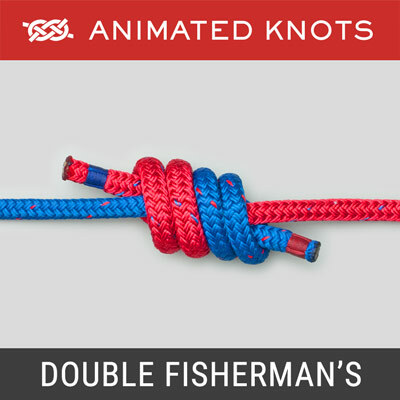 The knot requires a "Prusik Loop"
Making Prusik Loops: Prusik loops may be constructed by joining together the two ends of an accessory cord (5 or 6 mm) using a Double Fisherman's (or a Triple Fisherman's). Uses: Its principal use is allowing a rope to be climbed - ascending or "Prusiking". Two Prusik loops are alternately slid up the static rope: a long Prusik loop reaches the climber's foot – to allow leg power for ascending, and a second short Prusik loop is attached to the harness – to allow sitting. In rescue work, if a climber has to be pulled up, a Prusik loop can hold a pulley block purchase system on a climbing rope. Choosing a length: Many factors govern the length of rope used to make a Prusik Loop; what it will be used for; the number of wraps that will used in the Prusik Knot; the diameters of the ropes; and, the height of the user. As a rough guide, the lengths of cord used to make a pair of loops will likely start in the range: 5 ft (1.5 meters) for the shorter one and 6 ft (1.83 meters) for the longer one. 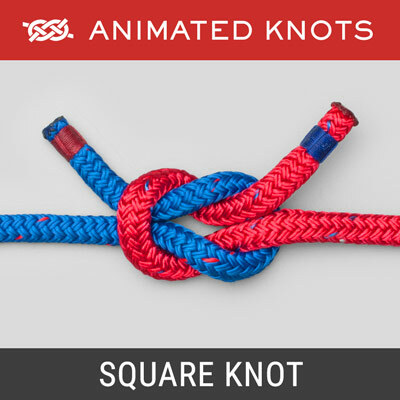 Other Slide and Grip Knots: Because the Prusik is a symmetrical slide and grip knot, it is useful if a load might need to be applied in either direction. Other knots below are useful when the strain is applied only in one direction. Asymmetrical Prusik (Schwabisch): Prusik knots may also be tied with different numbers of turns obove and below where the ropes exit. Experiment near the ground to determine how many wraps suit the choice of ropes and the individual. The Klemheist (Machard) is somewhat similar to the Prusik. 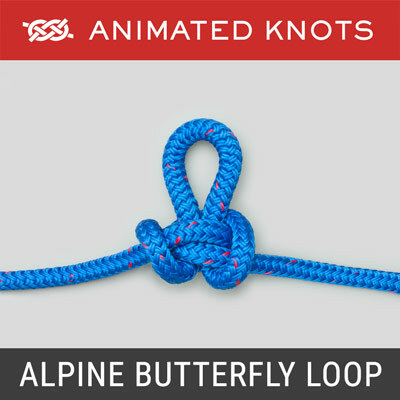 Wind the loop around the climbing rope three times and then pass one end of the loop through the other. Gripping the turns allows it to slip. Warning: doing this when loaded may be dangerous and will generate heat. The Bachmann incorporates a carabiner in the turns. The risk here is that gripping and loading the carabiner tends to loosen the turns and result in rapid slipping and, again if loaded, heat. The Valdotain Tresse starts with several turns at the top followed by a lacing or braid below (tresse is French for 'braid'). There are several variations depending on the number of turns at the top and the number of lacing turns. The Valdotain Tresse XT is similar the Valdotain Tresse but after the turns at the top, the two ends cross over each other ("X") to reverse direction.